In this unforgettable assault on reality–fully restored and presented completely uncut for the first time ever in HD–legendary Hollywood director/actor John Huston (The Maltese Falcon; Treasure of the Sierra Madre) stars as an intergalactic warrior who joins a cosmic Christ figure in battle against a demonic 8-year-old girl and her pet hawk, while the fate of the universe hangs in the balance. Multi-dimensional warfare, pre-adolescent profanity and brutal avian attacks combine to transport the viewer to a stat unlike anything they’ve experienced… somewhere between Hell, the darkest reaches of outer space, and Atlanta, GA. 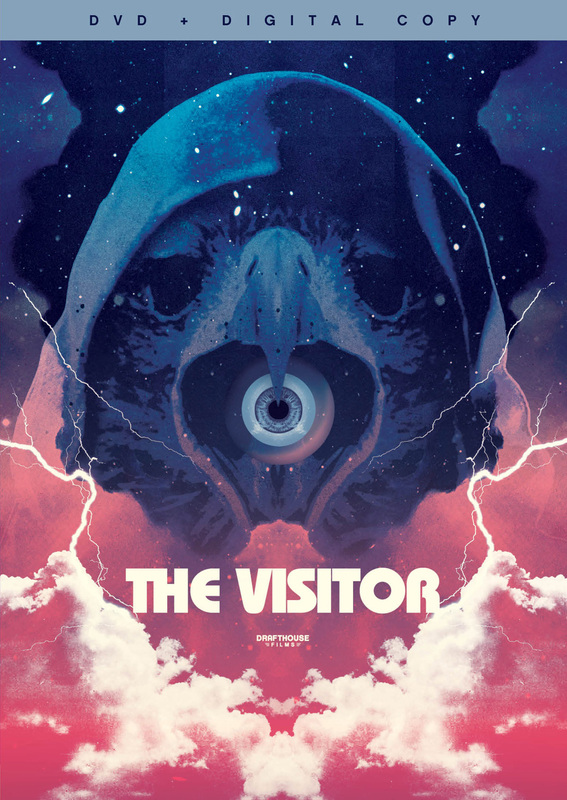 THE VISITOR fearlessly fuses elements of The Omen, Close Encounters of the Third Kind, The Birds, Rosemary’s Baby, The Fury, and even Star Wars, creating the most ambitious of all ’70s psychedelic mindwarps. Its baffling all-star cast includes Shelley Winters (Night of the Hunter), Glenn Ford (Superman), Lance Henriksen (Aliens), Franco Nero (Django) and Sam Peckinpah (director of The Wild Bunch). All Program Content ©1978 Brouwersgracht Inv., B.V. All Rights Reserved. DVD Disc Packaging ©2013 Drafthouse Films LLC. All Rights Reserved. Art and Design ©2014 Cinedigm Entertainment Corp. All Rights Reserved. Marketed and distributed in the U.S. by Cinedigm Entertainment.